Beauty of a handwritten letter. I’m the gal who loves to hear the postman making his rounds and get a little too giddy for what he might be toting in his red letter bag with our postcode stamped on it. When it’s nothing but a stack of IOUs I’d rather he turn right around and deliver them to someone else, but oh, when there’s even one handwritten letter found amongst the pile my heart smiles. I’ve always been a sucker for snail mail and it’s never gotten old. I can remember back in middle school when texting was beginning to be all the rage and my best friend and I continued our sweet little notes by post because we shared this adoration. Every other week or so I’d receive the sweetest encouragement, an ‘I’m just thinking of you’ or a note just to say ‘hi’. These words could have easily been said in casual conversation but meant something more coming through the post. Hand written momentos also embody a sense of time and personalisation of the writer. It’s an intimate piece of art straight from the hands of the author. I have a few notes from my great grandmother that I will forever hold dear; yes the words she wrote are precious but the delicacy of her cursive strokes are simply beautiful. Writing a sweet nothing to someone could be the very thing that they hold on to for years gone by to take them back to a certain place and time, a specific memory, or invite the memories of the author to come flooding back with just one read. Is there a letter that you hold dear? Will you use your art of writing to inspire someone this week? Emails, Facebook, Insta and text messages will just never be as beautiful. I love a handwritten letter. I need to find a pen pal! I love stationery too. My fiance loves that I write him handwritten letters and it still surprises him in an era of text messages and emails. There is something so personal and thoughtful about this rapidly becoming extinct art. writing letters are my favorite! i love buying cute cards and stationary..maybe a little too much! I LOVE handwritten mail! I used to have several pen-pals and loved getting letters from them! We all grew up, got married & had kiddos though and the writing faded out. Bummer. 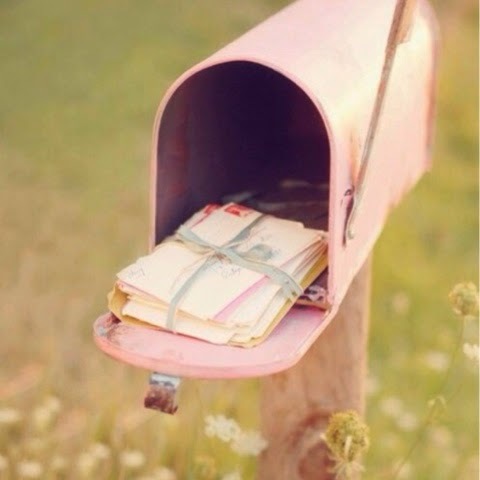 I love handwritten letters! So special to get mail… and the love behind each letter is so obvious! I have a lot of special letters I’ve kept over the years, my favorite are from family members that don’t normally write them. I love handwritten stuff! It is my absolute favorite thing to receive a letter.